Rev'd Andrei Petrine, Pilgrimage Secretary, AECA, 38 Claremont Road, Laindon SS15 5PZ, Office: 01266411190, Mobile 07723026925. 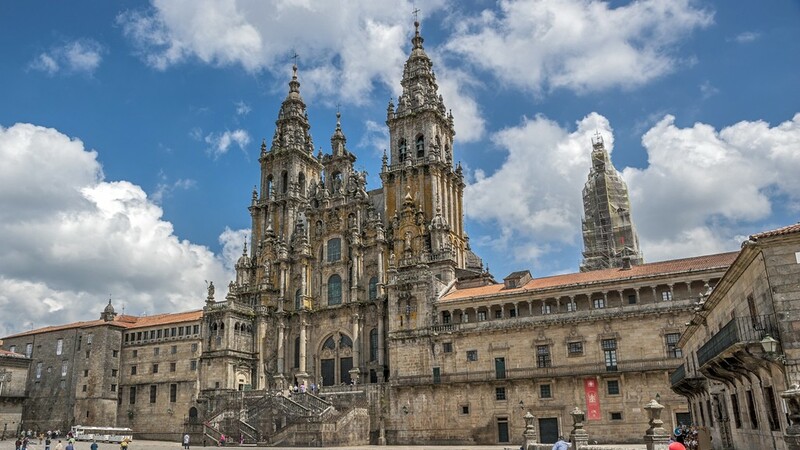 One of the remotest towns in Western Europe in the most westerly part of Spain, Santiago has been a goal of pilgrimage for over a thousand years. All this time people have travelled here by foot, by horse, by bicycle, and now by car and by coach following the historic trail that was finally recognised in 1987 by the council of Europe as its first European Cultural Route. The journey was long and often arduous - but century after century pilgrims have kept coming on a journey of discovery not only of this historic and beautiful region of Spain but also of themselves, seeking to allow God a space in which, amidst the very physical business of travelling, he may be able to reach out to us and we find new glimpses of him. “Whoever goes to Saint James and not to the Saviour, visits the servant and misses the master”. During our pilgrimage there will be daily acts of worship reflecting the different Christian traditions from which Pilgrims come.. 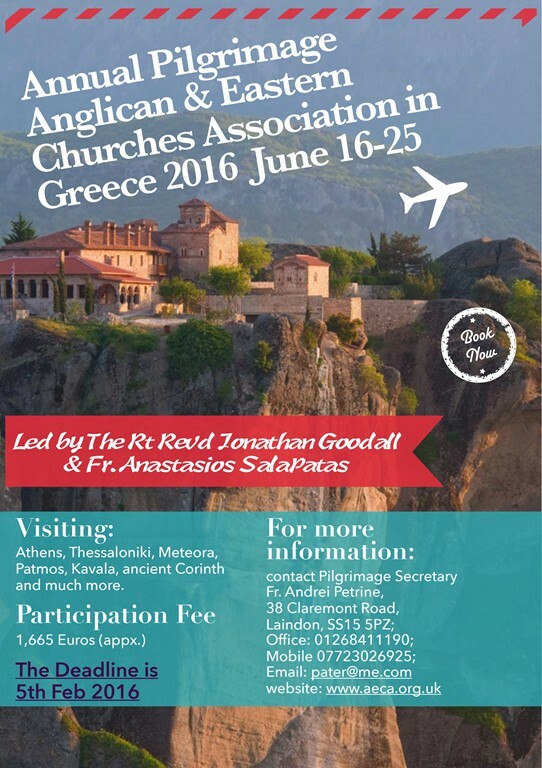 The annual Anglican & Easter Churches Association's pilgrimage to Greece will be led by the Rt Revd Jonathan Goodall & Fr Anastasios Salapatas. It will take place between 16th and 25 of June 2016 and includes visits to Athens, Thessaloniki, Meteora, Patmos, Kavala, ancient Corinth and much more! Bookings' deadline is 5th February 2016. A journey of Faith and an insight into the Celtic tradition. England's north has a great tradition of Saints, from the Venerable Bede, one of England's greatest scholars, to the Northern Martyrs of the 16th and 17th centuries. Saints associated with the north east include Aidan, Bede, Cuthbert, Hilda, Cedd, Chad, Oswald, Bega, Ninian and Oswin. During our pilgrimage, we will visit places connected with these great Saints and other sites enriched with Celtic meaning and Christian history such as Durham, Holy Island, Whitby & Lastingham. An autumn journey visiting some of the Seven Churches of Revelation complemented with three nights in Istanbul and a visit to Gallipoli and Troy. A 10 day pilgrimage visiting monasteries in Egypt from the Sinai desert via the Red Sea to Cairo. The 2008 AECA pilgrimage took place from to the Syriac Orthodox Church in the Tur Abdin area of S.E. Turkey.